The Winter Reds festival is the perfect excuse to swap up the PJ’s for a touch of vogue, and warm the soul with a rich glass of red—combined with food and good banter of course. 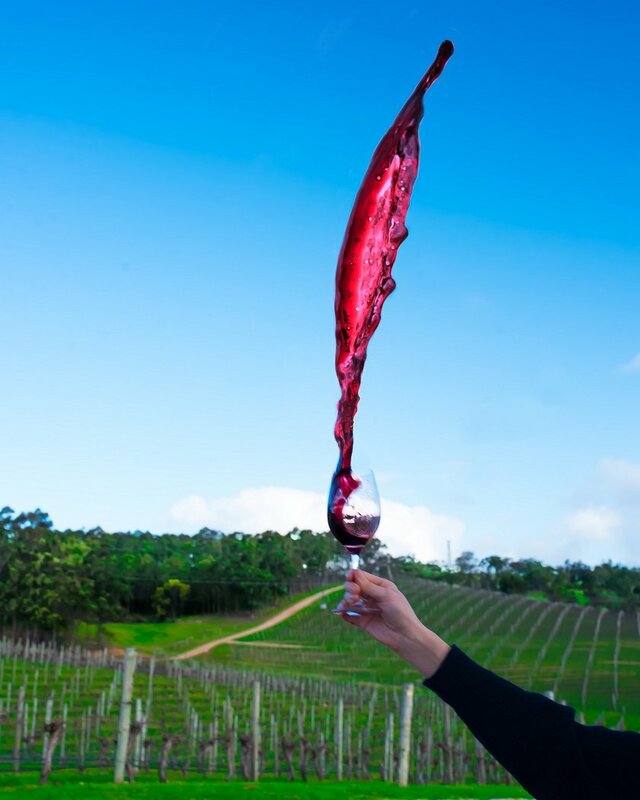 Although a humble area, the Adelaide Hills is home to some of the finest wineries in South Australia. We took to the windy roads and explored some of what the region has to offer, and along with delicious wines we found serene views, and a unique local culture. 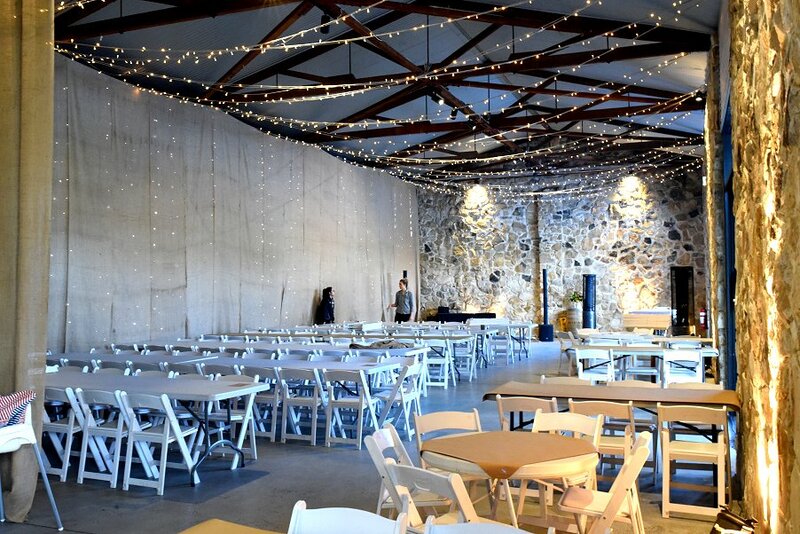 First on the list was Golding Wines; a large open space with a fine dining hall and fairy tale surrounds. The Hand-Cart Shiraz is a real winter warmer, especially when accompanied by the delicious regional board which includes some of the best cheese, meats and spreads of the region. We can’t wait to make a return to this dreamy, secluded location. Next up was Barristers Block. We were welcomed into the cellar door before exploring the vast green landscape that is home to old, cryptic trees. Modern and raw earthy elements intertwine to create vibrant scenery and luxe aesthetic. This one fits the bill of a cosy retreat, tucked away just off the main street of Woodside where an ambient outdoor setting invites you to sit and enjoy the premium wines. We tried the award-winning Cabernet Sauvignon, and with spiced fruity flavours and a rich indulgent finish, it was all hits and no misses. Located at the Historic Johnston Brewery, O’Leary Walker Winemakers’ gorgeous interior was certainly inviting. Music, and of course the Cabernet Sauvignon Malbec, helped lift the atmosphere to make the space feel big and beguiling, even with no vines in sight. Rich in both history and wine, O’Leary Walker was worth the stop! While Hahndorf is best known for its German sausages, quirky stores and the endless supply of beer, there are few hidden gems that boast a more affluent appeal. One of these is Landhaus Wines, a small and snug location with refreshing brews made from Barrossa-grown grapes. After feasting on the Greek selection of spit roast meats—food favourite of the day—we tried the bubbly 2017 Mourvedre Grenache Cinsault Rose, which is much easier to drink than it is to pronounce. After counting sheep and admiring the bright green terrain up the classic winding driveway, we fell across a lively alpine themed tent. 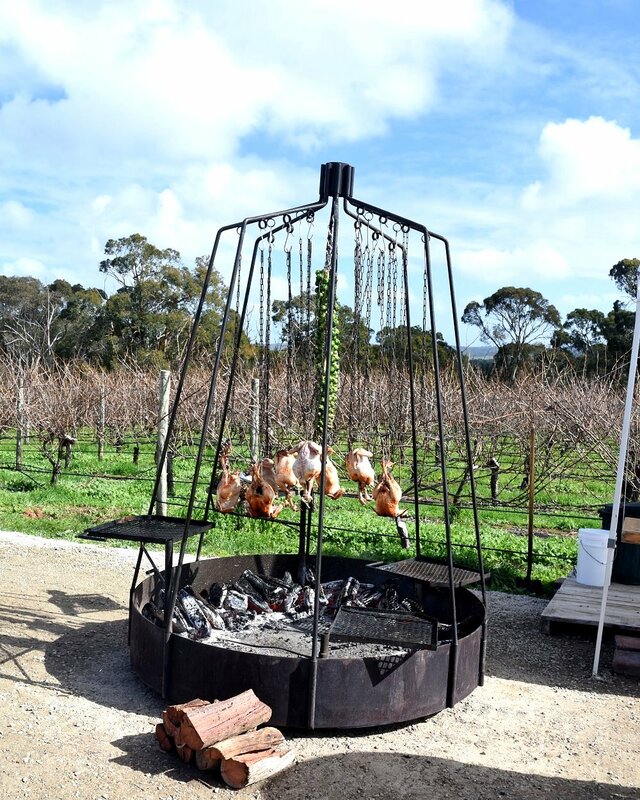 Spit roast chicken, aromatic mulled wine and music made up the bustling atmosphere. Despite the ferocious winds, the vineyards in contrast with the bright blue skies made for picturesque scenes. Don’t let the cold winter chill stop you from having a gander in the vines—we certainly didn’t. Surrounded by rolling hills, Karrawatta Wines is an undisturbed cellar door boasting modern architecture which creates an intimate space to accommodate family and friends. Although red wines were the theme of the evening, their white sauvignon blanc—with its non-traditional development method—is dangerously palatable. The winery perfectly encapsulates the country image of Meadows, but with a twist of luxury. Don’t shy away from asking the friendly staff about production, they love a chat!